My Travel-Themed Stationery Wishlist aka Pimp My Bullet Journal – Beautiful, Creative, Inspiring . . . Life. Bonjour mon petit croissants. It’s me; I have returned! I know, I know – you thought I was going to do another one of my “returns to blogging” wherein I only post consistently for two weeks and then I disappear for three months. Well, in all honesty, that might happen . . . but I’m really going to try and avoid it. Anyways, brief explanation for why all my consistency suddenly dropped off a bit: I just left Melbourne and moved to Brisbane! Actually, I moved to a little city two hours out of Brisbane called Toowoomba, with three of the friends that I picked up in Melbourne. We’re currently living in a pretty remote area, on a national park in fact, which means that reception is spotty and Wi-Fi is non-existent. Hence, a missing Mia. But, thanks to 50GB data packages and hot-spots, here I am. Hello. Today, we’re going to be talking about my favourite thing that life’s been missing since I’ve been in Australia: new stationery. New, shiny, pretty sticky things to make my journal look *Pinterest worthy*. If you guys remember my March Bullet Journal Set Up, you will remember that my current bullet journal . . . is actually a travel journal. Now, I hold my hand up here: I have not been as good as I’d have like to have been with my journal recently. It’s looking a little bland, a little unloved in places. So naturally I need some cute things to pimp it up. And, as it is my Australia travel journal, I need some travel themed cute things. And if you’d like to document your trips in an insanely adorable way too, why not stick around to see whats on my wishlist? As I am travelling and therefore on a budget, I’m going to be making this wishlist from my favourite cheap-and-cheerful store: Aliexpress. For those of you who aren’t aware of the amazingness that is Aliexpress, basically it’s a website where you buy items directly from factories in China. This means you cut out all the middle men and their markups and pay way less money. Shipping is also usually free worldwide, but it takes a hot minute to arrive. 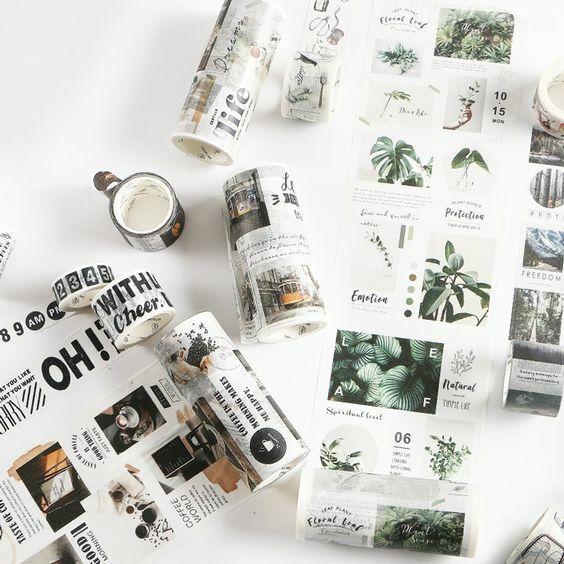 Okay, so I am in freaking love with these washi tapes! Like honestly . . . how cute are they? It’s like Pinterest threw up pre-selected cute images for your journal – and they’d make a perfect background for inserts like menus or pressed flowers. 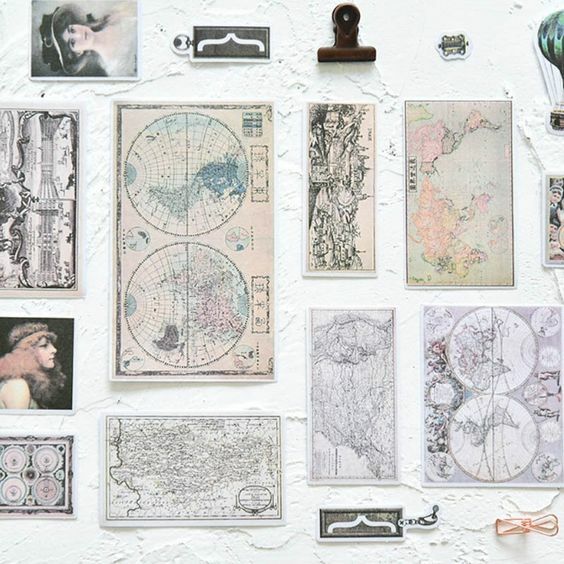 Do I need to explain why map stickers in a travel journal is a good idea? I think not. 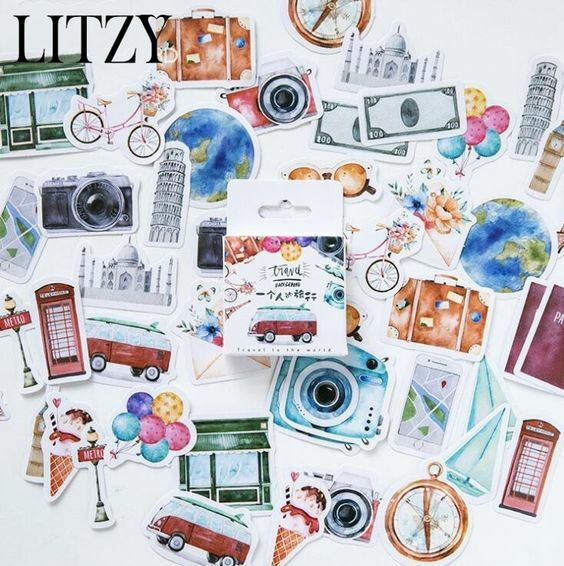 Wouldn’t these stickers just be absolutely perfect for annotating little travel journal entries? Guys, we already know about my ongoing love affair with washi tape. It’s one of my Top 10 Ways To Make Your Bullet Journal Pretty With No Effort and it’s perfect for any number of uses. 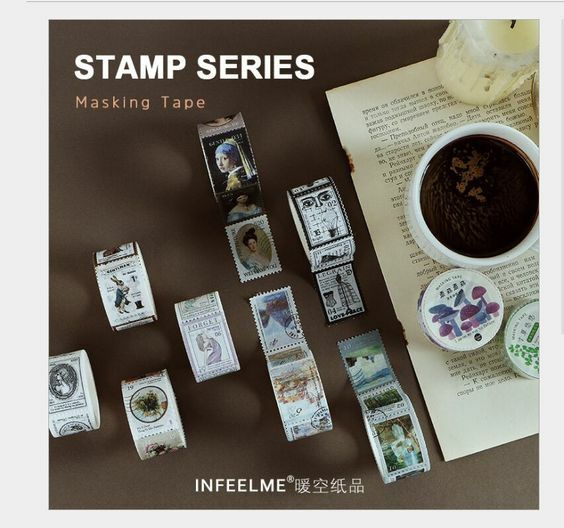 This stamp pattern washi tape? Well, just think about how perfect it would look sticking letters from home into your journal. 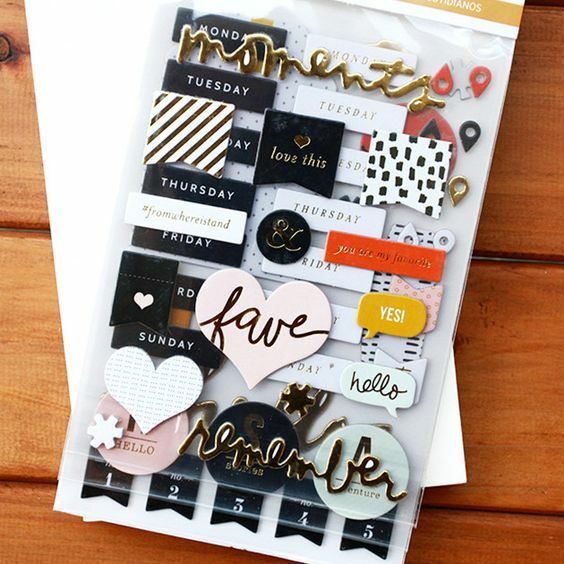 Now, yes, I know this isn’t directly related to travel – but what a cute way to stick inserts like tickets into your journal. 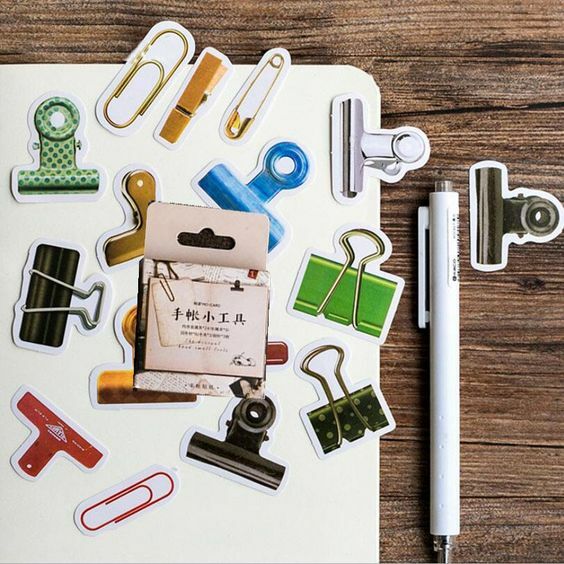 These little scrapbook stickers would be perfect for annotating your adventures! Honestly, all of Aliexpress is such a trap, guys. I started off looking for some stationery top-ups and finished with a bunch of dresses on my wishlist. Send help. I am planning to do a big recap on my travels sometime soon, by the way, but I want to do it as a “look over my travel journal” so it isn’t insanely boring . . . Hence, the whole wait. (And the wishlist post.) Mama needs craft supplies. Okay, kids, I hope you all enjoyed this post and discovered some cute stationery finds! I’m trying to blog, but it is hard where we currently are. Do you have a travel journal for when you go on little adventures? Would you try any of these finds? Let me know your thoughts down below! I love everything you showed in this, it’s all so cute! Awh wow they are so beautiful 😍 I especially love the stickers. You always buy such amazing stationery. I have to look on Aliexpress. These look so pretty and nice! I love these suggestions. Washi tape is honestly the best it just makes anything look adorable. I have to try Aliexpress at some point but know I’d I’ll end up spending way too much for my travel scrapbook. okay lol i love the title of this. so much pretty washi tape! these posts always made me wanna take up journaling, but i know i would just be absolute trash at it 😂 i’m loving all this creative inspo! LOVE all of this!! this stationary alone is giving me the travel bug. Thanks for sharing, Mia!